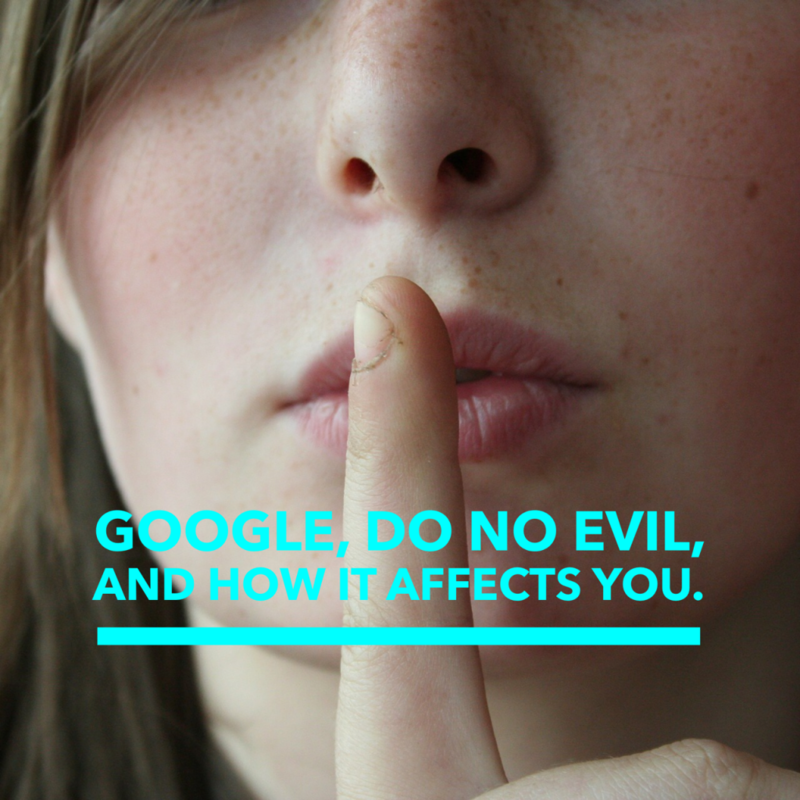 Google, Do No Evil, and How It Affects You. Two weeks ago, I wrote a blog post about Google manipulating their Artificial Voice (AI) voice recognition software. Specifically, the company added “ums” and “ahs” to their robot voices to make them sound more human. Google was doing this to make their interactions more transactional to generate and capture more data to manipulate and profit from. But I was wrong. Because just before I wrote the post, Google quietly removed that line from their communications. “Don’t be evil.” Googlers generally apply those words to how we serve our users. But “Don’t be evil” is much more than that. Yes, it’s about providing our users unbiased access to information, focusing on their needs and giving them the best products and services that we can. But it’s also about doing the right thing more generally – following the law, acting honorably and treating co-workers with courtesy and respect. The Google Code of Conduct is one of the ways we put “Don’t be evil” into practice. It’s built around the recognition that everything we do in connection with our work at Google will be and should be, measured against the highest possible standards of ethical business conduct. We set the bar that high for practical as well as aspirational reasons: Our commitment to the highest standards helps us hire great people, build great products and attract loyal users. Trust and mutual respect among employees and users are the foundation of our success and they are something we need to earn every day. The Google Code of Conduct is one of the ways we put Google’s values into practice. It’s built around the recognition that everything we do in connection with our work at Google will be and should be, measured against the highest possible standards of ethical business conduct. We set the bar that high for practical as well as aspirational reasons: Our commitment to the highest standards helps us hire great people, build great products and attract loyal users. Respect for our users, for the opportunity and for each other are foundational to our success and are something we need to support every day. So please do read the Code and Google’s values and follow both in spirit and letter, always bearing in mind that each of us has a personal responsibility to incorporate and to encourage other Googlers to incorporate the principles of the Code and values into our work. And if you have a question or ever think that one of your fellow Googlers or the company as a whole may be falling short of our commitment, don’t be silent. We want – and need – to hear from you. Regardless of what you think about Google and their activities, you have to wonder why they would remove such a clear mandate. After all, the implications of the removal of the line speak much louder to Google’s brand value than what can actually occur because they use (or don’t use) that line in their communications. If Google had never extolled its people to “Don’t be evil,” then not directing them that way wouldn’t matter. But because Google used this command for so long, removing it invites us to ask what’s changed. Does it mean doing evil is now allowed under certain circumstances? Perhaps it means evil doing no longer something the company thinks is worth avoiding? Or is Google exploring new markets or new products where the ability to do evil will actually give them a competitive edge? Needless to say, these questions are both rhetorical and hyperbolic. But the company’s actions do suggest that Google is tweaking their authentic truth. And that’s usually a clarion call that significant changes are about to take place. When a Starbuck’s employee called the cops on a couple of African-American patrons who hadn’t ordered anything (yet), the coffee shop’s customers were outraged because of the suggestion of intrinsic racism the call implied. But this action also told us that Starbuck’s authentic truth of providing a safe “third-place” was also no longer true. If you’ve been following the news since then, you’ve seen that Starbucks has also had trouble providing a comfortable place for patrons who fall asleep in the store, need to use the bathroom before they order, and more. When Donald Trump used his mastery of social media to help win the presidency of the United States, he also hammered his opponent for her misuse of online communications. Not only did Trump demonstrate that his authentic truth included understanding the technology, but he also illustrated Clinton’s lack of such understanding. This contrast impinged Clinton’s credibility as a master communicator worthy of the office. We’ve all witnessed what happened next. Authentic truth is often visible to everyone but the person, or company, who is violating it. And while most customers, clients, and electorates will never use the term authentic truth when they explain their choice to shop (or vote) elsewhere, they feel it deeply. That’s because we tell the world who we are by the things we buy, the businesses we frequent, and the politicians we vote for. 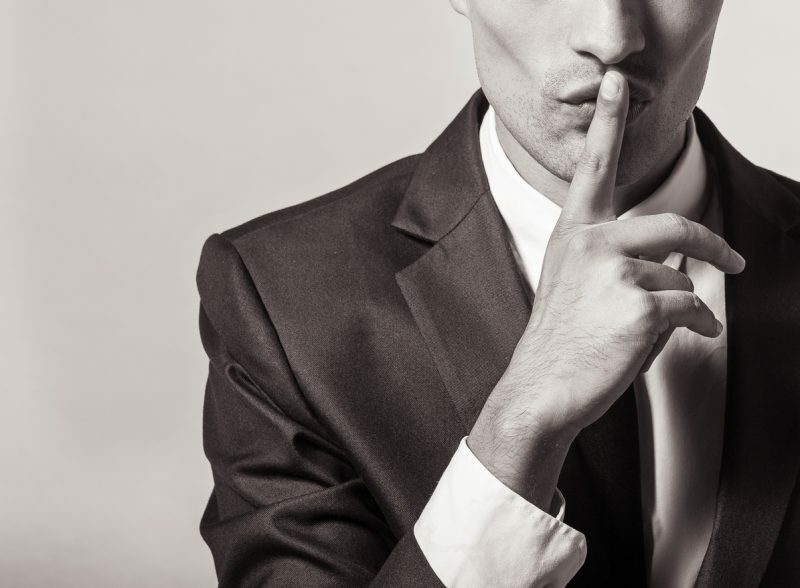 And because we promote our own authentic truth by exhibiting the authentic truth of our favorite brands, we are particularly sensitive when we feel like we’ve been had. That’s an All About Them truth that Google needs to think about very seriously before they change their own authentic truth.